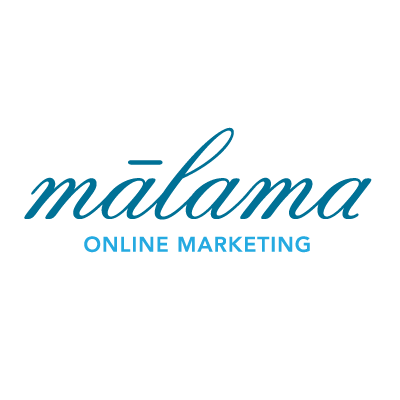 Malama Online Marketing, LLC has no control over the policies of search engines with respect to the type of sites and/or content that they accept now or in the future. Client site may be excluded from any directory at any time at the sole discretion of the search engine or directory. Due to the competitiveness of some keywords/phrases, ongoing changes in search engine ranking algorithms and other competitive factors, Malama Online Marketing, LLC does not guarantee #1 positions or consistent top 10 positions for any particular keyword, phrase or search term. Occasionally, search engines will drop listings for no apparent or predictable reason. Often listing will “reappear” without any additional submissions. Should the listing not reappear, Malama Online Marketing, LLC will re-submit the site based on the current policies of the search engine in question. Development or SEO Authorization to make changes. You and business your represent hereby authorizes Malama Online Marketing, LLC to access the your accounts, and authorizes the web hosting service to provide Malama Online with “write permission” for the client’s webpage directory and any other directories or programs which need to be accessed for this project. The client also authorizes Malama Online to publicize the contracted website to Web search engines, as well as other Web directories and indexes. You and the business you represent, represents to Malama Online Marketing, LLC and unconditionally guarantees that any elements of text, graphics, photos, designs, trademarks, or other artwork furnished to Malama Online Marketing, LLC for inclusion in webpages are owned by [Business Name], or that [Business Name] has permission from the rightful owner to use each of these elements, and will hold harmless, protect, and defend Malama Online Marketing, LLC and its subcontractors from any claim or suit arising from the use of such elements furnished by the client. In no event will Malama Online Marketing, LLC be liable to [Business Name] or any third party for any damages, including any lost profits, lost savings or other incidental, consequential or special damages arising out of the operation of or inability to operate these webpages or website, even if Malama Online Marketing, LLC has been advised of the possibility of such damages. This agreement shall be binding upon the heirs and assigns of the parties and shall be governed by and interpreted according to the laws of the State of Hawaii. The client shall not unreasonably withhold acceptance of, or payment for, the project. If, prior to completion of the project, the client observes any non conformance with the project deliverables, Malama Online Marketing, LLC must be promptly notified, allowing for necessary corrections. Rejection of the completed project or cancellation during its execution will result in forfeiture of deposit and the possible billing for all additional labor or expenses to date. All elements of the project must then be returned to Malama Online Marketing, LLC. Any usage by the client of those elements will result in appropriate legal action. Client shall bear all costs, expenses, and reasonable attorney’s fees in any action brought to recover payment under this contract or in which Malama Online Marketing, LLC may become a party by reason of this contract.